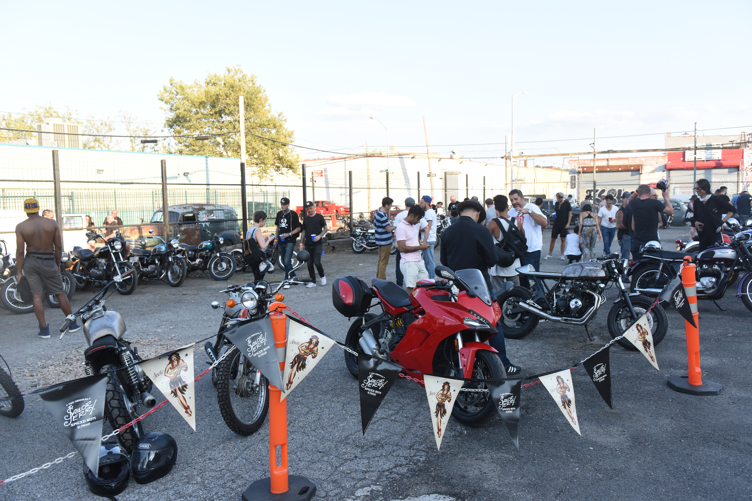 On Saturday I went to a party/show/classic motorcycle rally. 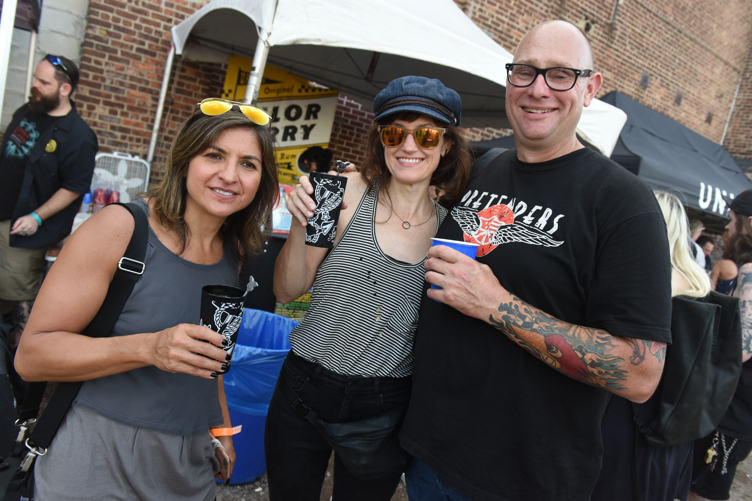 My friends at Sailor Jerry were sponsoring the event in the Broadway Stages parkinglot in Greenpoint and asked me to come by. 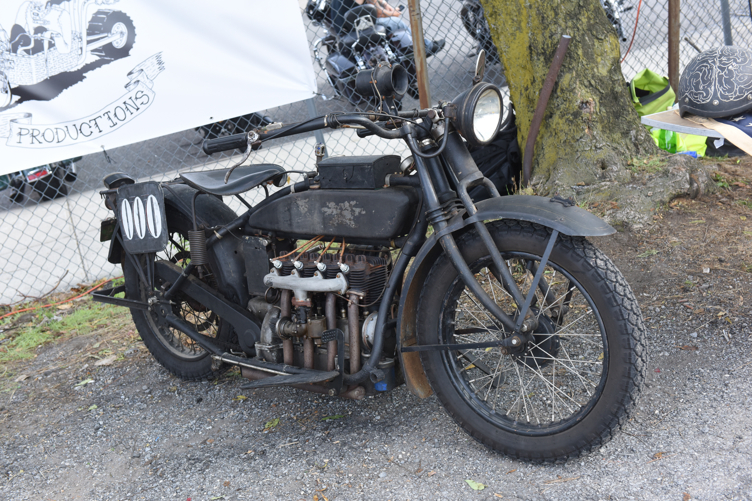 A bunch of bands were playing and there were some solid food trucks and a ton of vintage motorcycles. Seemed like a good time. I got there pretty early so I was in time to see Julia Haltigan go on and then I photographed a bunch of the bikes and hung out with the Sailor Jerry crew. 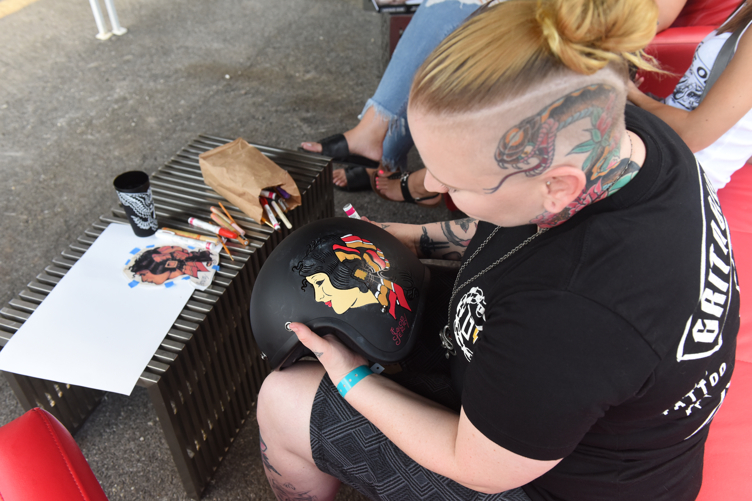 They were giving away a hand painted Harley and the had someone live painting a helmet with classic Sailor Jerry flash. I hung out with the homie & SJ brand ambassador Gravy Thomas who never stops moving throwing these SJ events across the country. Every time they do one of these motorcycle events I wanna buy a bike but am 100% sure I would wreck it in a week in NYC traffic. As the sun started to go down Sharmuffin started playing and they were great. 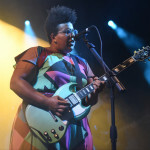 Their front woman got in the crowd and finally turned the block party into a rock show which I appreciated. I was actually supposed to be somewhere else after that but I wanted to stick around for Daddy Long Legs. 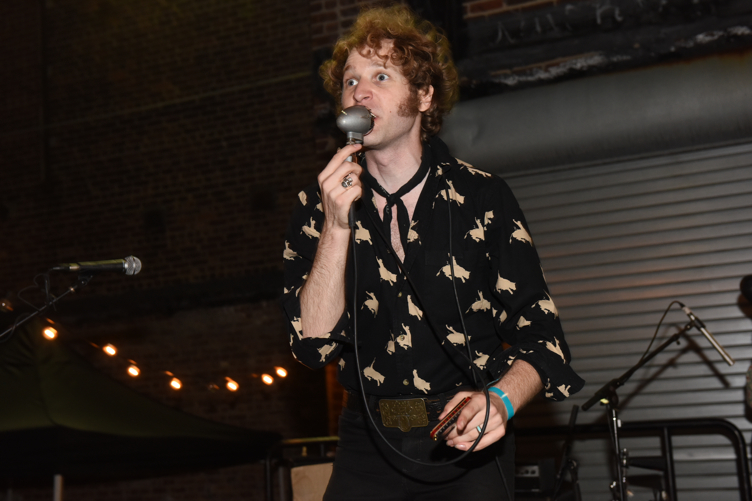 I shot them at the Beauty Bar 20th anniversary party and they were really fun and I am glad I stuck around. I did have to leave before Dirty Fences played but the party was 10 hours long and I had to get a bunch of stuff done by Monday (which is why these photos didn’t go up until today.) But I’ve shot them before too and they are really fun. Wish I could have stuck around. 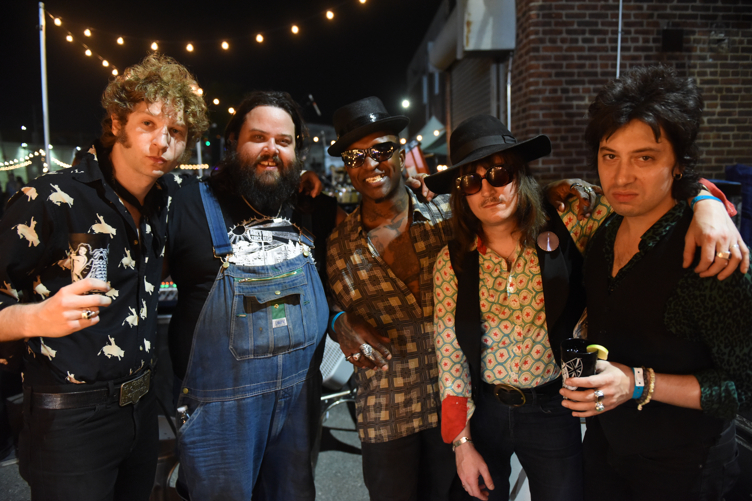 Anyway check out these photos because even if you don’t care about old motorcycles and rock bands you will care about the photos of adorable dogs at the party. 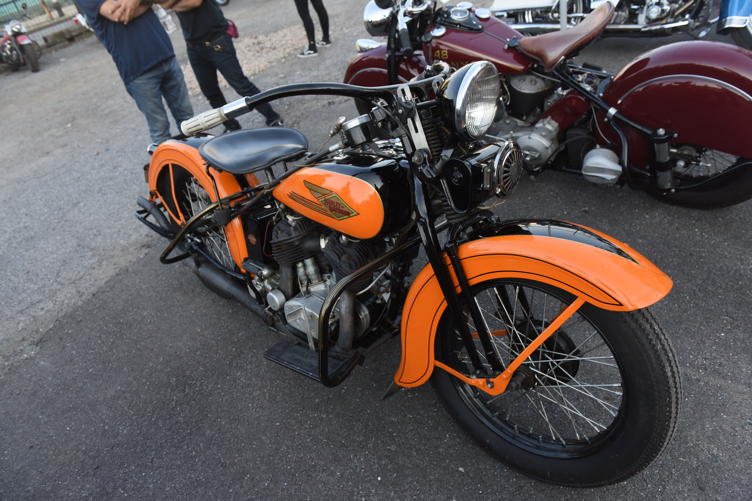 Click here to see all the photos from The Lot vintage motorcycle party!